Northern Stage is a powerhouse of theatre and creativity in the heart of Newcastle. Bold and ambitious productions, sunny family shows, a raft of participatory work and a cracking cafe bar; you'll find them all here. 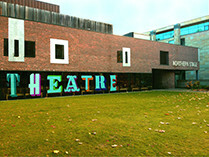 The building has three performance spaces, two bars and simple and open access for visitors, audiences and performers. The doors are open from 10am every day except Sunday, so that people can drop in and buy tickets. The restaurant opens for breakfast from 10am and food is served until 9pm. The bar is open til 11pm and often later on performance nights. 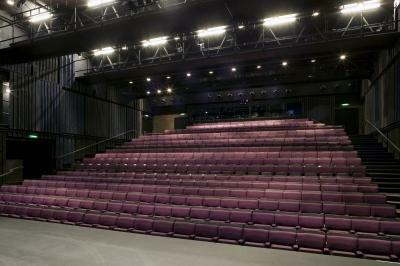 We hope our all of our audiences find it a welcoming, exciting, relaxing and sometimes exhilarating place to come to. We look forward to seeing you soon.